There is no legal right to time off for religious duties, prayer, worship and festivals. 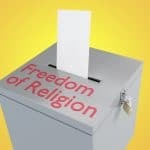 That said, employees who have been refused time off for religious festivals have brought successful claims in employment tribunals for religious discrimination where there has not been a legitimate business reason behind the refusal. Muslim employees in a Tesco store won a case for harassment when they claimed that the prayer room that they had been provided with in a store in Northamptonshire was locked and they were made to sign in an out and not permitted to pray collectively. 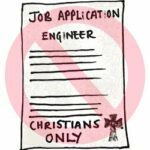 A Christian employee who was made to work on a Sunday won a case for indirect religious discrimination because he claimed that as a practising Catholic, Sunday was his Sabbath and he could not work. A Jewish job applicant was awarded £16,000 by an employment tribunal when she was turned down for a job because she could not work on Saturdays because she observed Shabbat (the Jewish day of rest which prevents work from sundown on Friday to sundown on Saturday).